I’m in my forties and sometimes I’m still afraid of the dark – the midnight dash out to the rubbish bin or the alarming night-time screech of possums in the fruit trees by my desk window can still make me jump. On the other hand, I love gazing at the stars on a perfect summer’s night or a cold, dark sky just before dawn. 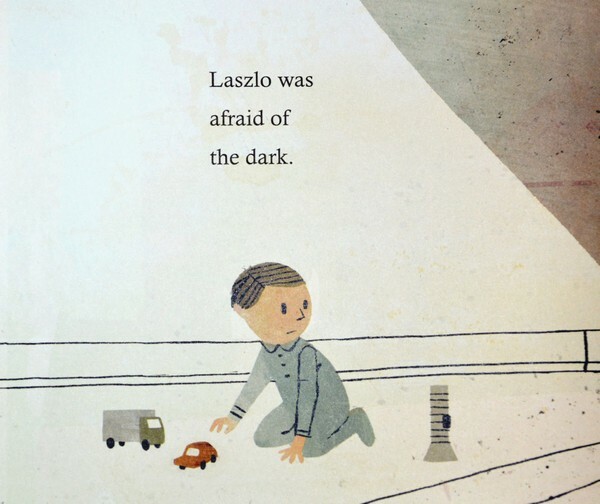 Laszlo is a little boy who also knows the dark as both friend and foe. 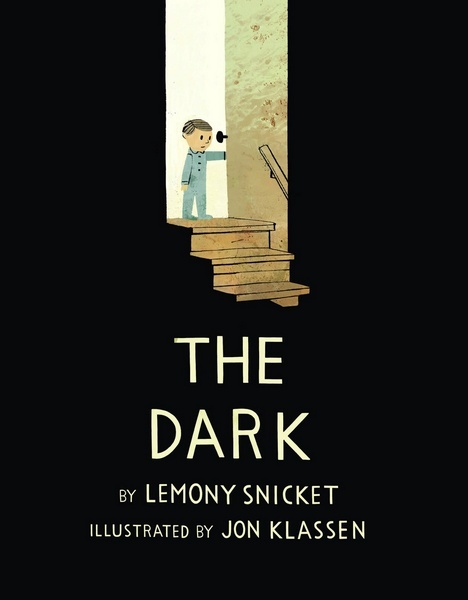 Lemony Snicket’s story, The Dark, begins with Laszlo, a solemn little boy, who is afraid of the dark. The dark lives in the same house as Laszlo and can be found hiding in all sorts of places – in cupboards, behind the shower curtain and most particularly, in the basement. Do bedtime stories get any more tense?! 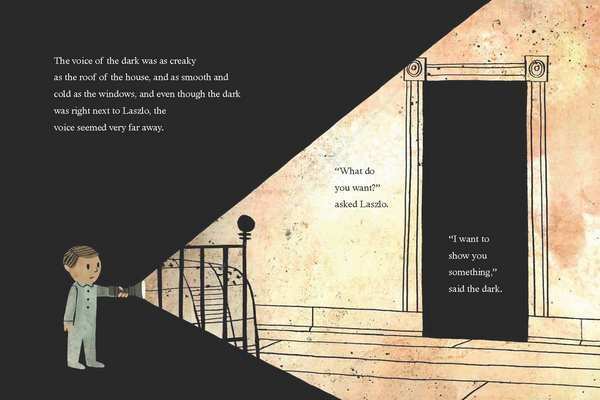 Know that you’re in good hands because from there, Lemony Snicket tells us how Laszlo and the dark come to an understanding. The conclusion to this story is clever and such that younger readers may want to turn back a few pages on their first reading to retrace the plot as it unfolds through the illustrations. The text deserves to be read aloud – there’s enough suspense for good story-tellers to create quite the drama before bedtime. But the brilliance of this book is in Jon Klassen’s gouache-and-digital illustrations. How do you illustrate ‘the dark’? Klassen has mastered it, confining the palette to muted browns and greys that contrast with inky black. Laszlo’s torch, a light in the hallway and the rising sun create striking, geometric shafts of light across the page, the expansive black spaces filled with the dark’s voice. 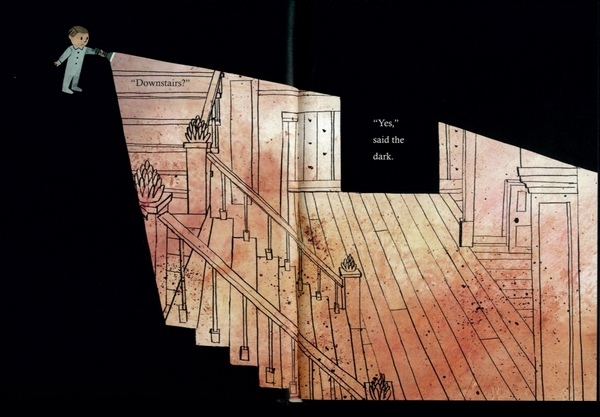 It is in the illustrations, more so than the text, that the dark becomes a palpable ‘character’. The Dark is suitable for children aged three to eight years and is available online at Book Depository, which delivers free of charge to Australia.